SKU: EOTCC2BF2. Categories: Special Offers, End of Tenancy Cleaning + Carpet Cleaning. 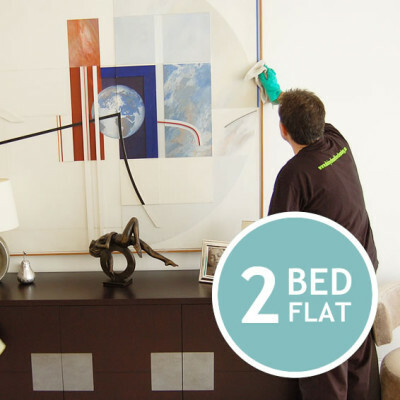 Tags: carpet cleaning, end of tenancy cleaning, flat cleaning london. 2 BED FLAT with two bathrooms End of Tenancy Cleaning + Carpet Cleaning is combined cleaning service for domestic and commercial customers who need full end of tenancy cleaning and carpet cleaning at the same time before they move in or out of a property. Or for anyone who needs full flat cleaning and carpet cleaning at the same time. Experienced and fully insured cleaning team will attend the job, bring in all necessary cleaning materials and equipment, and clean up to the required standard and specification. For more details see restrictions below and full terms and conditions. Often the END OF TENANCY CLEANING may require specialist services like hard floor cleaning (floor stripping, scrubbing, polishing ), paint splashes removing, external window cleaning and etc. For further advice and free no obligation quote please contact our team. Restrictions: Must be 18 or older. This service is subject to availability and runs Mon-Sun 07.00-20.00. Two bed flat with one bathroom must be in London within M25 with overall size max up to 70 sqm/753 sq ft and to be comprise of Two Bedrooms, Living room, Kitchen, 2 Bathrooms and corridor. The property and floors must be empty and clear of personal belongings, cloths, equipment, building materials and furniture which is not part of the flat’s fixtures (beds, build in wardrobes, kitchen and bathroom units, large appliances, dining/coffee tables ). The price is estimate and additional charge will apply for removing and disposing bulk rubbish and furniture, protection wrapping, personal belongings, cleaning pets’ hair and stain treatment, upholstery cleaning, water pick up after flood, scotch guard treatment of carpets, blinds cleaning, balconies, external windows and facade cleaning and any other service which has not been included in the above cleaning specification. If any specialist cleaning services like hard floor cleaning (floor stripping, scrubbing, polishing ), paint splashes removing, external window cleaning, kitchen appliances deep cleaning and etc. is required, additional charge will apply.